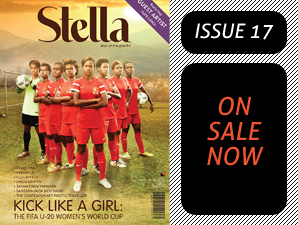 By visiting the Stella website you acknowledge that you use the service at your own risk. 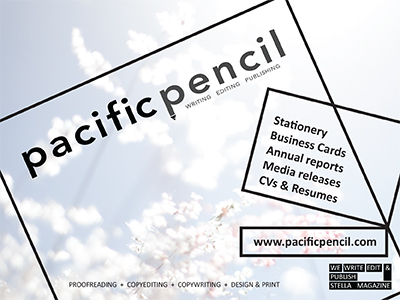 Pacific Pencil Ltd, Stella magazine, its affiliate and third party service providers expressly disclaim any and all warranties, both express and implied, including but not limited to any warranties of accuracy, reliability, title, merchantability, non-infringement, fitness for a particular purpose or any other warranty, condition, guarantee or representation whether oral, in writing, electronic form, including but not limited to the accuracy or completeness of any information contained therein or provided by the service, service provider,affiliates, and third party service providers do not represent or warrant that access to the service will be uninterrupted or that there will be no failures,errors or omision or loss of transmitted information, or that no viruses will be transmitted on the service. Pacific Pencil Ltd, Stella magazine, its affiliate and third party service providers shall not be liable for any direct, indirect, special, consequential or punitive damages allegedly sustained arising out of this agreement,the providing of services hereunder, the sale or purchase of any goods or merchandise, your access to or inability to access the service, including for viruses alleged to have been obtained from the service, your use or reliance on the service or any of the merchandise, information or materials available on the service regardless of the type of claim or the nature of the cause of action, even if advised of the possibility of such damages. You hereby agree to release Pacific Pencil Ltd, Stella magazine, its affiliatates and third-party service providers, and each of their respective directors, officers, employees, and agents from claims, demands and damages of every kind and nature, known and unknown, suspected and unsuspected arising out of or in any way connected with your use of this site.